Take a look here to see what my clients feel about their life coaching experience. Life coaching with Linzi has been brilliant. When you’re doing it, you feel a million dollars. It leaves a mark with you though, that last lasts a long time. It changes you. The things you always needed to do, act on, get around to doing – you somehow become empowered to do. It/they may have always been staring you in the face, but without that support, kindness and nurturing inspiration…. you may never have got around to doing them.It’s powerful; the techniques are strengthening, enlightened and up to the minute. Linzi once said, that one day, everyone will have a coach. I’d like to say that I’d agree with that; and add that that coach should be Linzi. AJ (Arjuna Ranatunga), Bramhall, Cheshire. Linzi has helped me enormously in enabling me to analyse and take a step back and look at myself and explore different avenues and how I can change my life for the better, I have gained an awful lot from our sessions. Thank you Linzi, you’ve clearly helped me see things I could never see before and feelings I didn’t know I had. You’ve changed my life and I’m so very grateful I met you when I did. I started seeing Linzi to help work through some challenges I was having with writing a paper. I was experiencing serious writers block, brought about by some anxieties about the quality of my writing but also made more difficult because of a memory impairment. Linzi helped me identify the different elements of the tasks that were to be done and used a series of techniques (some psychological, some technical) to help me tackle the project. Alongside her enthusiasm and confidence, her expertise helped me tackle something that I had lost all confidence in. I honestly don’t think I could have done this without her expertise. As a result of her support, I will continue to work with her to build on this success. Every person should have a Linzi – frankly, I’m wondering how I managed all this time without her! I am yelling at the top of my voice, “Are you fed up with your job”? Are you going to give up? Or do you simply need Encouragement and FOCUS? Linzi Wood – Simultaneously challenging and interesting and interested. She’s lovely. She makes things shift. Go for her! 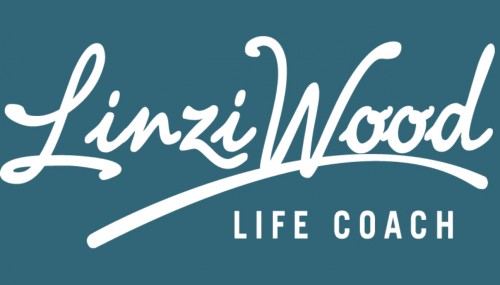 A fantastic life coach….Linzi Wood can help you turn you whole life around, whether you are struggling with life’s issues in general, unsure about a change of career or anything you are finding difficult to deal with on your own personal journey, ….. Although, Linzi can’t change who you are, you can! She can help you to see those choices that can be made by changing your thought process in helping you choose and make the right decisions moving forward with a more positive approach to life and most of all having self belief in yourself. By taking those little life changing steps one at a time to succeed along the way….. Linzi really can help you achieve this. Linzi is extremely professional and completely confidential. She is caring, shows great empathy, listens and does not judge. Linzi is extremely good at her job and Passionate in what she does and believes in you as an individual… So, if anyone is struggling out there, then please don’t do it alone…. I can thoroughly recommend Linzi Wood to help you see the positives in life and the small changes, one step at a time, towards a more positive and life-changing way forward, helping you change your life forever. 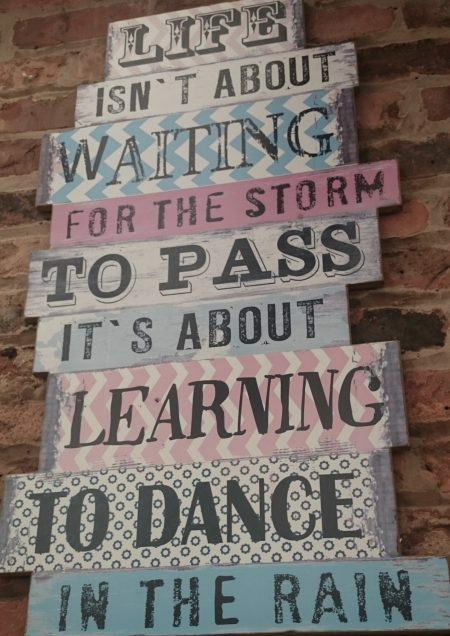 You have to want it yourself and if you are now at a crossroad and don’t know which path to take, then do give Linzi a call and let her help you to make those changes yourself to a better, more positive, structured way forward to a more harmonious way of life….I know only too well. I speak from my own personal experience and how Linzi helped me turn my life around to a much better and happier one and at a level that I can now cope with comfortably and I myself in a much better place in my life. 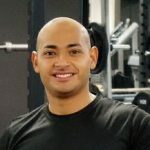 I didn’t really know what to expect from my time with Linzi, but had an open mind and a feeling that it would be worthwhile talking to someone about a few areas of my life that I felt could be better, or more to the point, if I changed my way of thinking or approach to these areas would it be better? I just didn’t know how to do it on my own. Linzi is a warm, caring person and immediately makes you feel at ease. The sessions we had make me think about my values and what I hold dear and what is important to me. It has really helped me focus in on my actions and I’m feeling really positive about making some beneficial changes, personally and in my business. These things aren’t major life overhauls, but simple and manageable. However, I know that they will make a big difference to my life and make me feel better overall. I hope Linzi is a part of my life going forward, I believe that if I ever feel ‘stuck’ again, she’d be able to help put me on the right path! I’d say to anyone considering making some life changes, big or small, talk to Linzi. Going to see Linzi was one of the best decisions I have made. From the moment I met her I felt at ease and confident that she had my best interests at heart. Linzi taught me how to change my way of thinking, events had happened, however the outcome of how they made me feel was up to me. She helped me look at those events and turn what I had been looking at in a negative way in to a positive one. It sounds simple but without Linzi’s coaching and belief in me I wouldn’t have been able to achieve that. I would have no hesitation in recommending Linzi. Very professional, personable and a genuinely lovely lady. Life coaching sessions with Linzi are uplifting. Sometimes, I finish work and think, oh, I just want to go home, but by the time I’d left Linzi’s I felt so positive and uplifted. Linzi has made me appreciate myself and my good qualities. My mind is Focused and now I can consider how to move forward. The process was relaxing and easy to implement. I never felt it was wrong to not have met any goals, I knew it was to be done at my speed. Overall, I found life coaching with Linzi a really positive experience, her straight talking manner is good for me and made some things become rather easier to move on from and let go. Linzi is friendly and non-judgemental, I needed that. Looking back to when I first contacted Linzi it’s clear (now) that my confidence was at an all time low, I was emotionally confused , and beginning to suffer from panic attacks. Right from the very first session Linzi guided me towards rediscovering my (almost forgotten) strengths and qualities, and after just a few sessions my confidence was ignited. I am now planning confidently for the future again. I cannot thank Linzi enough for her help and I would unconditionally recommend her to anyone in need of Life Coaching. Linzi really loves Life coaching and that is clearly why she is so talented at it. Having had blocks of counselling during my life, I was intrigued to discover how Life Coaching differs. One main difference is the belief that happiness comes from living by one’s own core values. Teasing out those values, with the help of a non-judgemental Life Coach, is more difficult that one might expect. Another major difference is that counselling explores one’s past to discover how one has reached where one is today. Coaching takes the starting point as TODAY, and whilst acknowledging the past, focusses on today and going forward from today. Looking at aims and goals going forward – drawing a pathway, or in my case, I chose a ladder. I needed help in drawing my ladder, defining the rungs and then climbing them! Was it easy or difficult to climb the rungs? 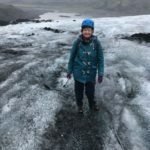 Both – but by taking control, I made it happen (I’m not at the top yet!) – but this has only been possible through the continuing enlightenment of Linzi’s Life Coaching! When I considered coaching and first met Linzi she was very professional and had great listening skills, I just knew we could work together. Life coaching has helped me with different areas of my life, business, relationships and childhood. Every session is different and very productive. Coaching is amazing and it always builds my belief, not only in me and my abilities but in pushing me to go further in my life, in fact, in anything I choose. Linzi always has time to share my news and listens with her heart. I am so grateful to call her my coach and friend and really appreciate Linzi in my life as it just goes from strength to strength. Life coaching has been one of the most useful, challenging, affirming things I have ever done. It has helped me to understand myself, to recognise what my values are and to begin the journey to being the best version of me that I can be at this stage in my life. Before I started I was an empty-nester who worried about what others thought and felt that life was passing me by. With Linzi’s guidance, I have learned to think positively, to recognise my strengths, and to believe in myself. Others have noticed the change in me, that I’m happier in my own skin, that I view life more positively and have more self confidence. I am now confident that I can live my life to the full in the best way for me. All the way through Linzi was guiding, supportive, understanding and encouraging. Throughout the life coaching activities I never felt uncomfortable although they were quite challenging. Today I am in a much better place thanks to the support, techniques and encouragement given to me by Linzi.